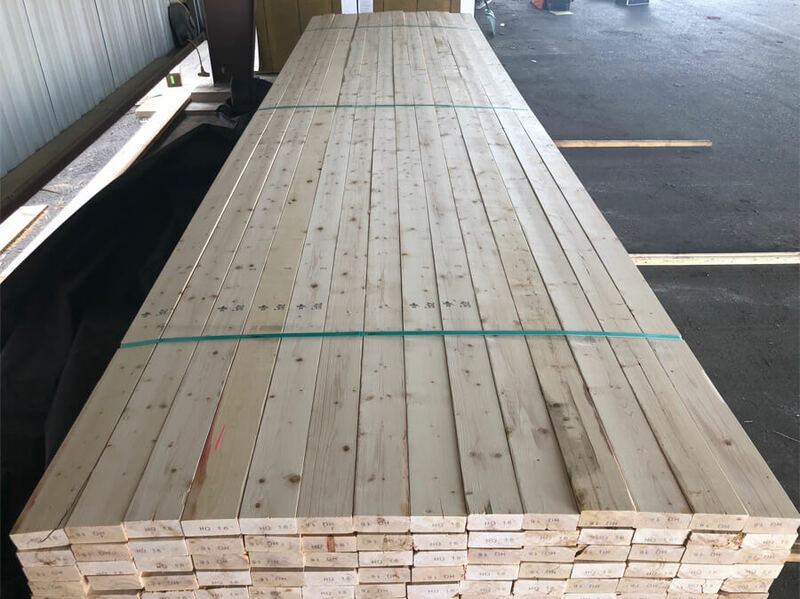 SPF is the gold standard for framing lumber. It is lightweight, strong and easy to cut and nail. It is a favorite among carpenters and homebuilders. 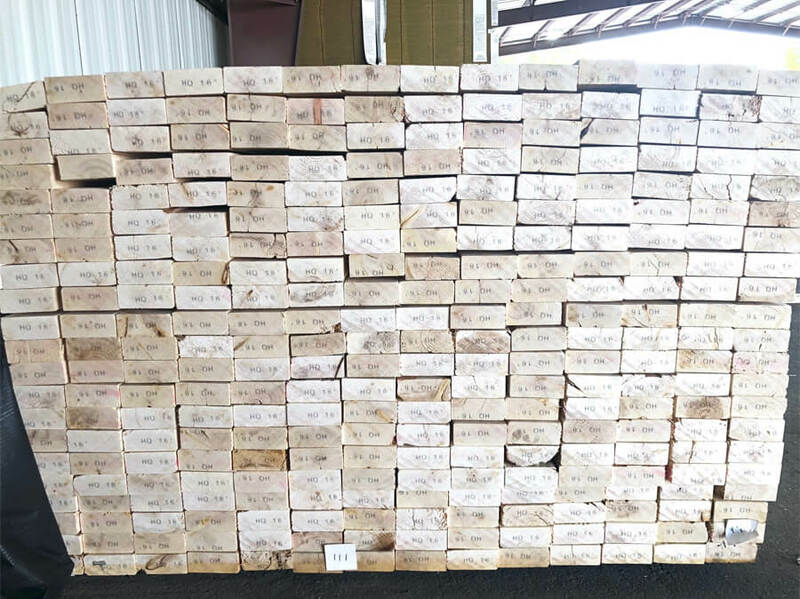 4-Square SPF is our appearance grade lumber. It's a structural #2 grade with a strict limitation on wane. 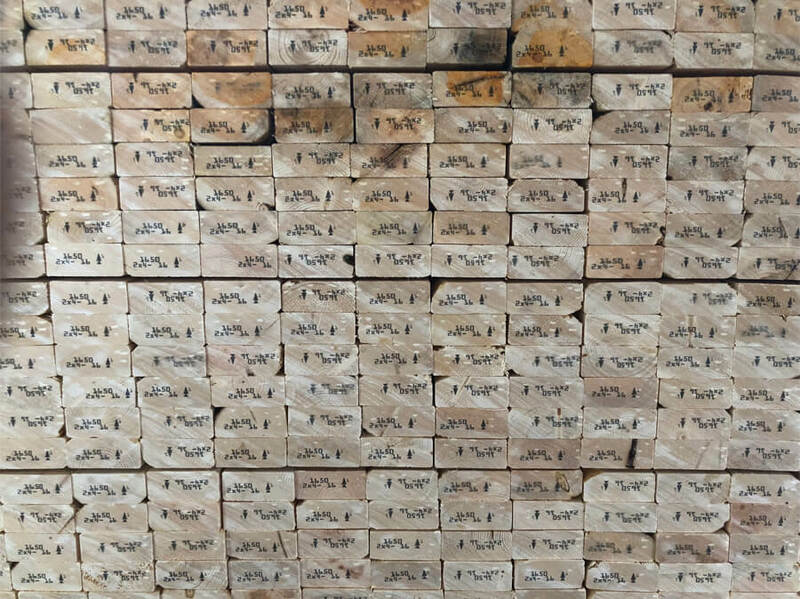 We recommend 4-Square for the customer looking for the absolute best looking lumber. 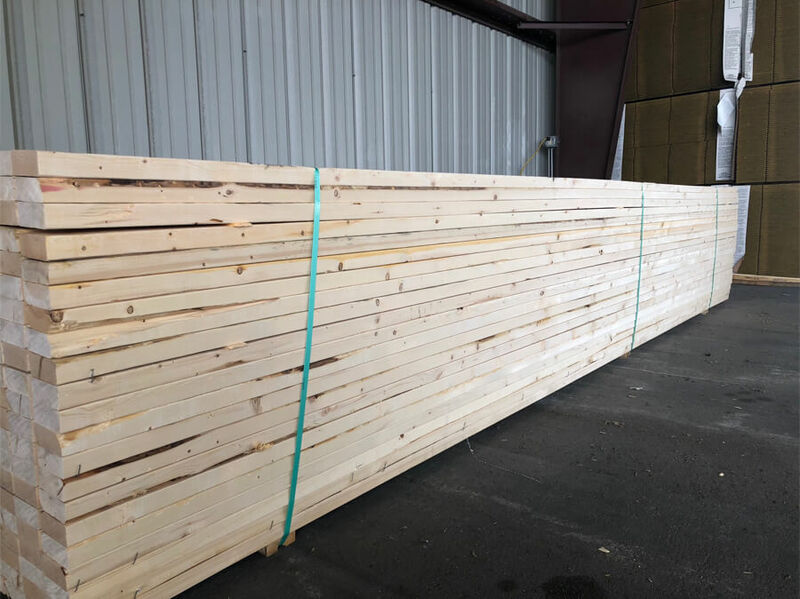 With 4-Square, there is little to no wasted or culled lumber. #2 grade stamp. Boards are ~98% wane free with occasional pencil wane. Blue stain is allowed and knot size will be the same as in #2&btr. 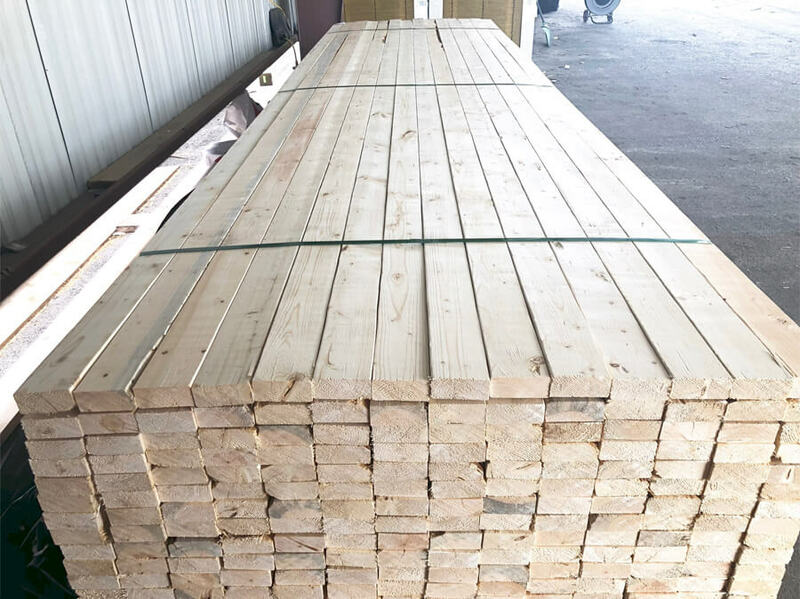 MSR 1650 is lumber graded for both fiber quality and appearance. It is stronger than #2&btr, and has a #1 grade appearance. We recommend MSR 1650 for customers looking for reliable and consistent strength, and for those that are looking for something a notch above #2&btr's appearance. Machine Stress-Rated Lumber (MSR) is dimension lumber that has been evaluated by mechanical stress-rating equipment. The stress-rating equipment measures the stiffness of the material and sorts it into various classes. MSR 1650 is also graded for appearance and has a #1 face. #2&Btr SPF is the workhorse of framing lumber. 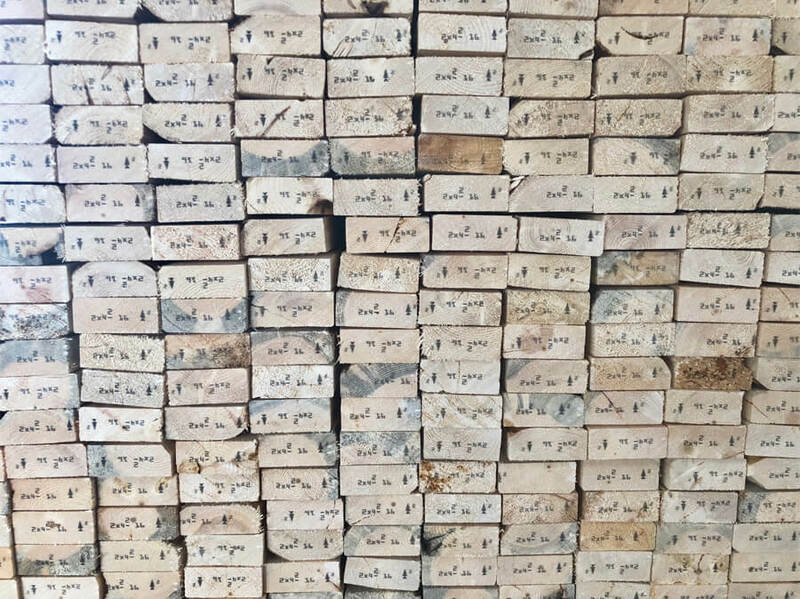 It's naturally soft white wood that is easy to cut and nail, making it a favorite among carpenters. 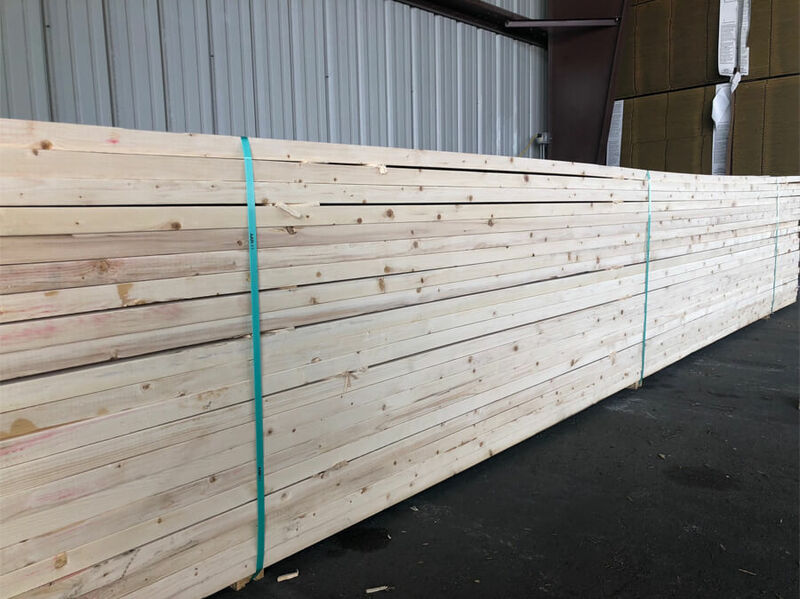 We recommend #2&btr for customers that are looking for the most cost-effective lumber for framing. #2&Btr is not an appearance grade board and will have bark, wane, and blue stain. Wane is allowed up to 1/3 of the thickness and 1/3 of width for the full length of the board. 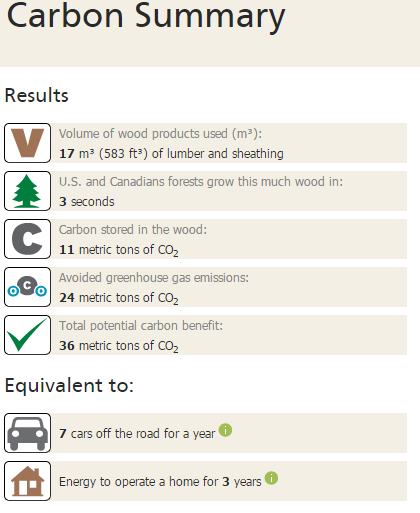 SPF Lumber is one of the most abundant and sustainable building materials on planet earth. 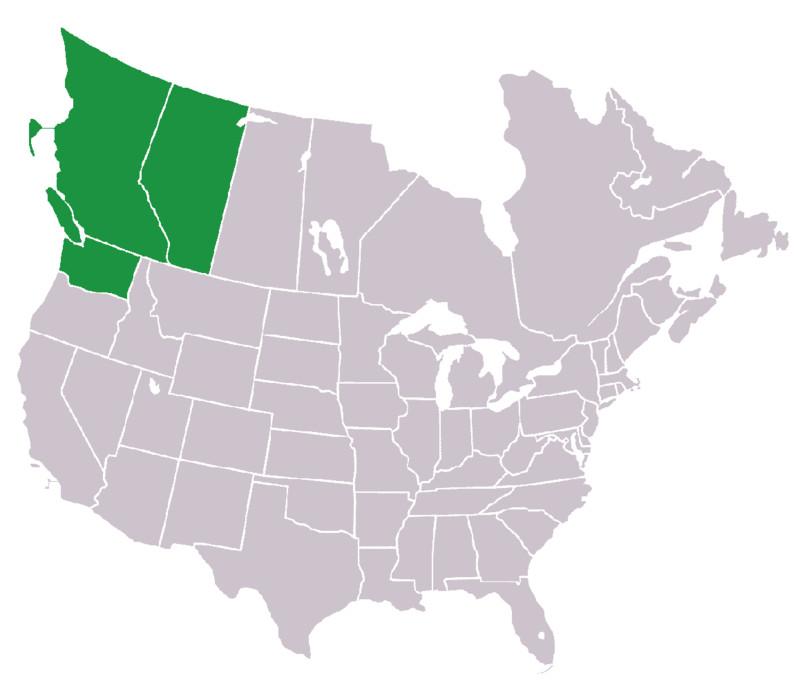 In North America, it is harvested from some of the largest forests in the world. 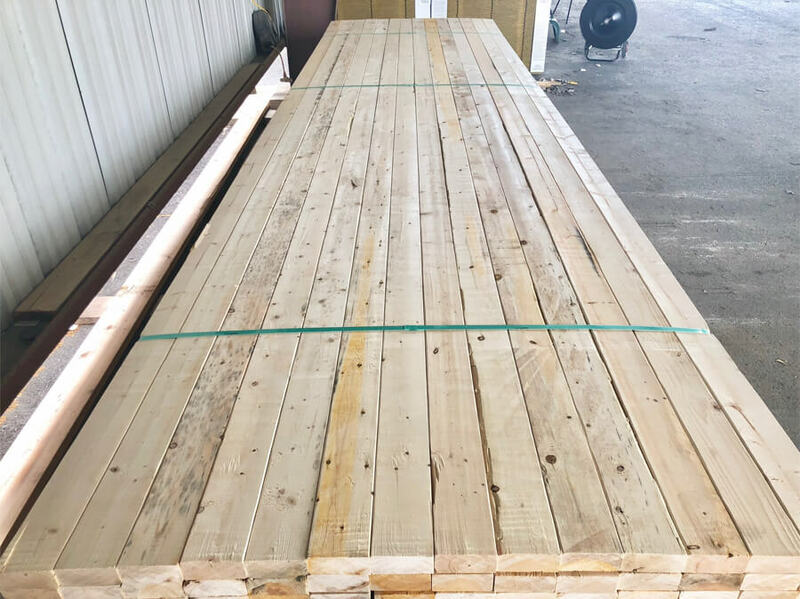 Less than a third of 1% of available SPF lumber is harvested in a given year, and it is managed and administrated by third-party organizations that ensure and protect its long-term sustainability. SPF is considered a Carbon negative product because it sequesters carbon. When a tree grows, it takes in CO2 and releases clean Oxygen. A tree removes and scrubs so much CO2 from the environment that nearly 50% of a tree's weight is stored Carbon that was removed from the atmosphere. 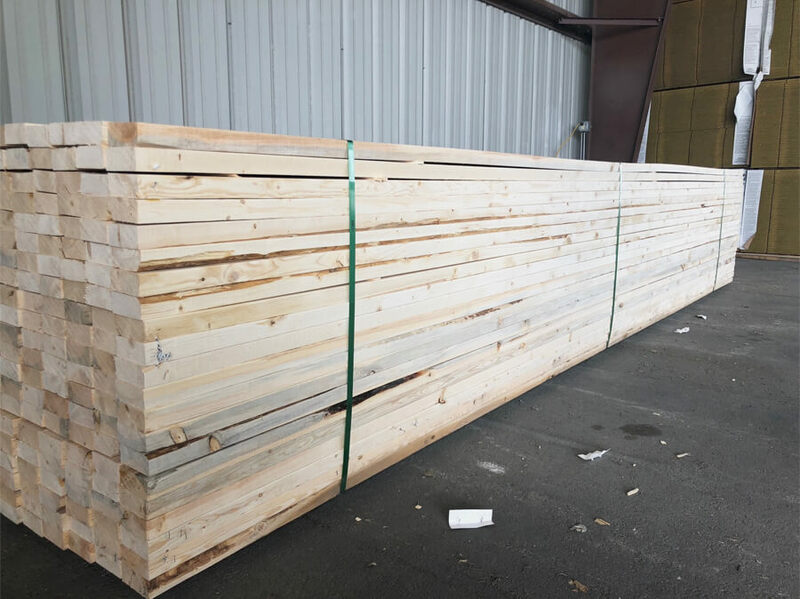 When a tree is logged and milled, all that Carbon is safely stored in the lumber and removed from the environment permanently.